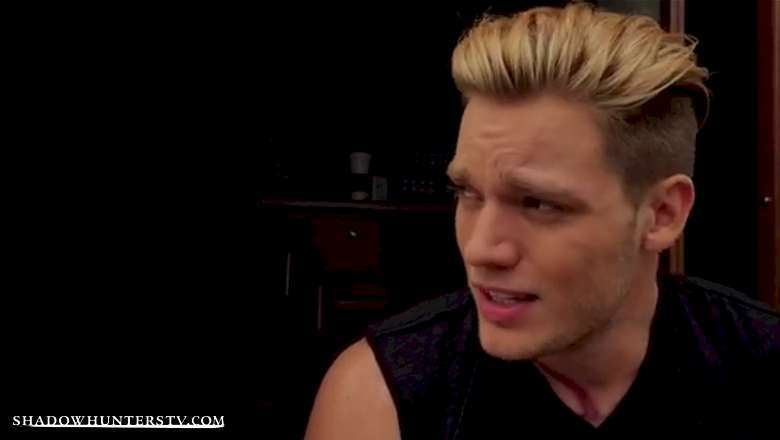 Dominic Sherwood answered questions live on Twitter as fans asked him questions using #AskDom. Find out what happened. Thanks for all your questions! If you missed the live chat on Twitter read on to catch up on all the questions and answers. Stay tuned for more twitter chats with the rest of the cast coming your way soon! 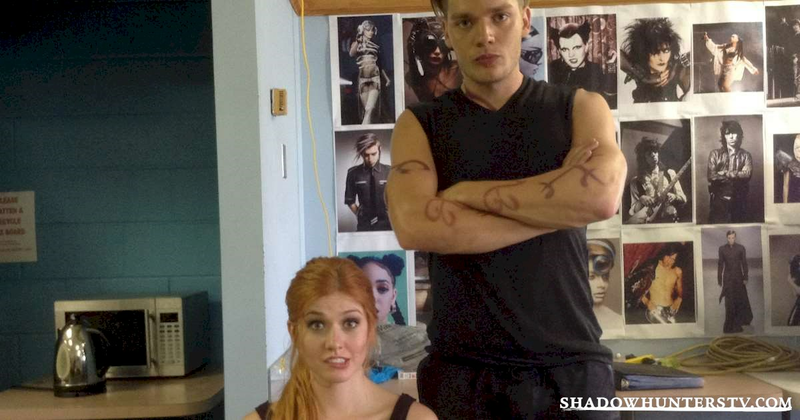 Here's a pic live from the set of Dom and Katherine! Dom even took the time to do what he does best, tease Katherine McNamara! And we weren't too surprised since OHMYGOD PUPPY! ... And a weird passion for scooters. He is also the self-proclaimed funniest member of the cast. Oh, and he appears to have the sarcastic humor down too! A fan was kind enough to make us relive the horror of the Silent Brothers. As do we all, Dom. They are truly terrifying. Even his beautiful girlfriend, Sarah Hyland, got in on the action! @DomSherwood1 @Sarah_Hyland what is this "Candy" you speak of? You can't be him Dom, but you sure can smell like him. He appears to have already formed a tight bond with the cast members!
. @lightswoodz @MatthewDaddario @lightwohds @fckmalec @werebanshee @tonystrki @jenmorrirson Matthew in one word....? Eccentric! #askdom @shadowhunterstv hey Dom can you grab me a coffee after this twitter chat? Also @Kat_McNamara wants ice coffee. Thanks boo. And a certain red head agrees! 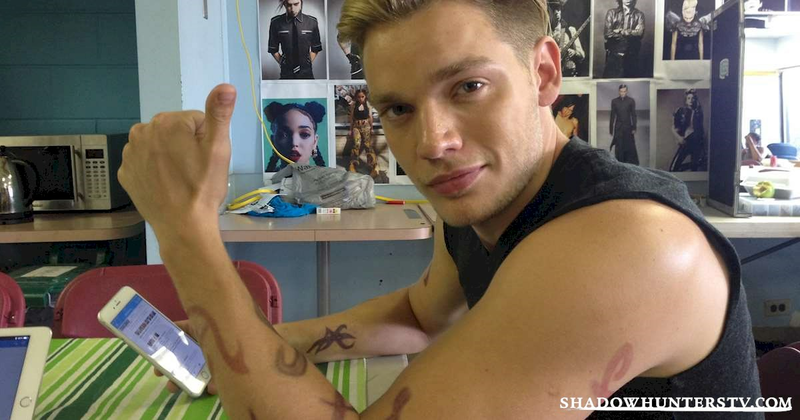 Dominic Sherwood will be answering questions LIVE on Twitter from 1:30pm – 2pm PST (West Coast!) today from the Shadowhunters set. Start tweeting your questions now using #AskDom and we’ll make a list to ask him – and we'll be featuring the best questions here on the site. Don’t forget to check back here during the chat as we’ll be reporting live on his answers – we might even get our hands on some exclusive photos for you too!